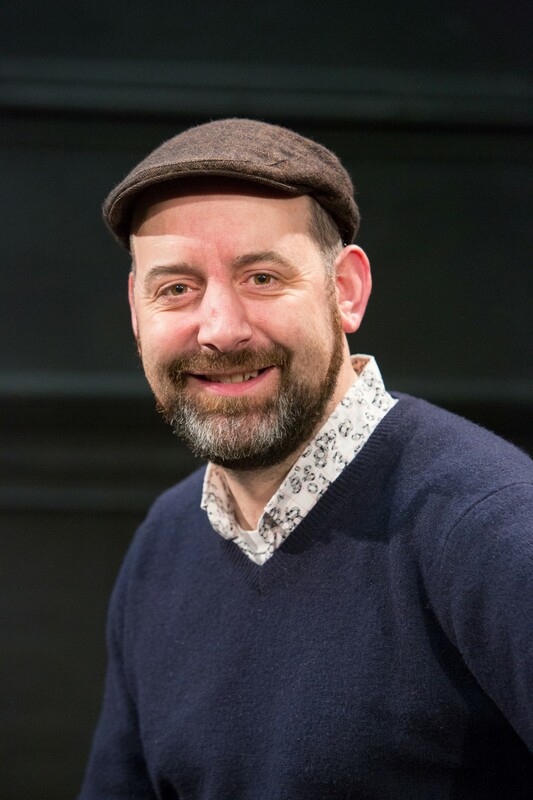 Matthew is currently Artistic Director and Chief Executive of Unity Theatre, Liverpool. He is also a director of The Hub Lab and Phrased and Confused CICs. Co-productions whilst at Unity include Nina – a story about me and Nina Simone (with Riksteatern, Sweden also seen at Young Vic, London and Traverse, Edinburgh), Lampedusa (with Soho and Hightide), Princess and the Pea and Little Red and the Big Bad Wolf (with Action Transport), Bardolph’s Box (with Up the Road Theatre) and Molly Davies Chicken (with Eastern Angles). Prior to joining Unity Matthew was General Manager of Eastern Angles one of the busiest theatre companies around producing around four or five shows a year with an acting company working somewhere in East Anglia for around 200 days of the year. He produced 18 shows for the company which have toured into community centres, theatres, aircraft hangers, railway museums and ancient monuments to name but a few (as well as successful runs in London and Edinburgh). Last – but by no means least is Chicken by Molly Davies, which is a coproduction between Eastern Angles and Unity. Previous to that he was a freelance producer and consultant working across a wide range of projects including venue programming, organisational development, business planning and project management. His clients included EM Media (the regional screen agency in the East Midlands), Creative Partnerships Haven Gateway (on film education funding possibilities), Dartington (Live Art and Home Festival producer) and Beaford Arts (programme consultant). He completed a feasibility study on the re-opening of Barbers Electric Picture Palace as a community cinema for Wolverton Unlimited in 2008. As an independent producer he specialises in new and alternative theatre. With the hub he produced the Insulting Cabaret for the Royal National Theatre / International Pen and three Phrased and Confused stages at Summer Sundae featuring Jean Binta Breeze, Laura Dockrill, Ben Mellor and Joolz Denby as well as a national tour. With Phrased and Confused Matthew first worked with Murray Lachlan Young which led to the creation of Windswept Productions. Matthew produced Murray’s first stage play The Incomers and is currently working with Murray and Paul Jepson on their second tour Running Stag. In November 2008 he produced the first UK tour for Croatian live artists BADco and followed that in 2011 with a tour of Cepheus by DB Indos (also Croatia). He also produced the Seas Club in Varna, Bulgaria as well as working with Jammy Voo Theatre Company and the Bloody Brits project. He was Director of Phoenix Arts, Leicester from 2002-8 where as well as running the venue he oversaw and developed a £21million capital project (the Digital Media Centre). Prior to Leicester he ran venues in Bath (Michael Tippett Centre) and Reading (21 South Street). He chaired the Artist Taking the Lead panel for the East, was co-chair of the National Live Literature Consortium between 2005-7 and board member of the SPARK Children’s festival(2003-8).